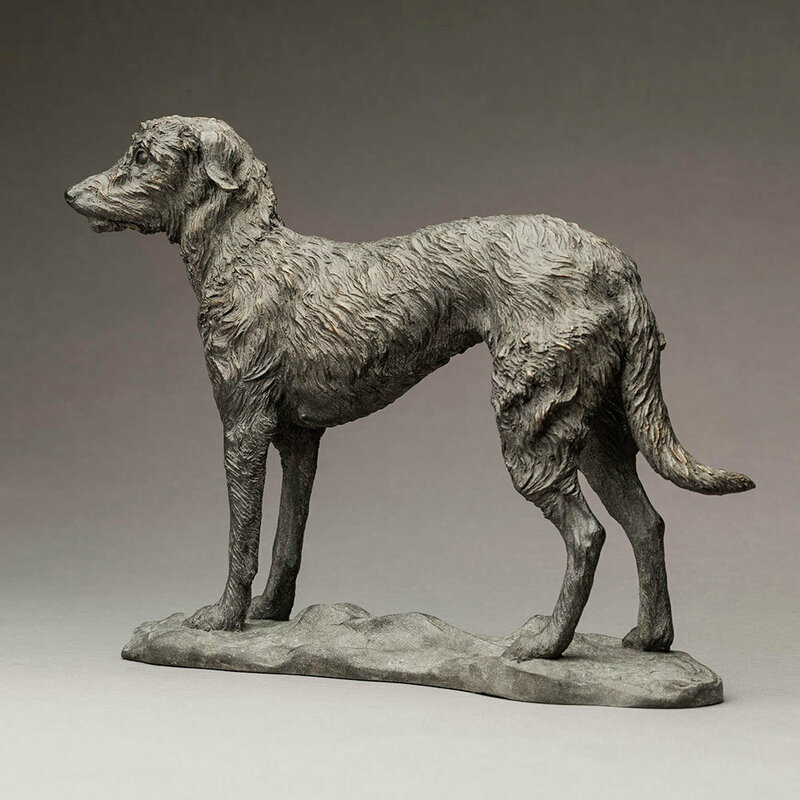 Please click – Ordering – for details of availability, price (if not listed above) and how to order your sculpture. 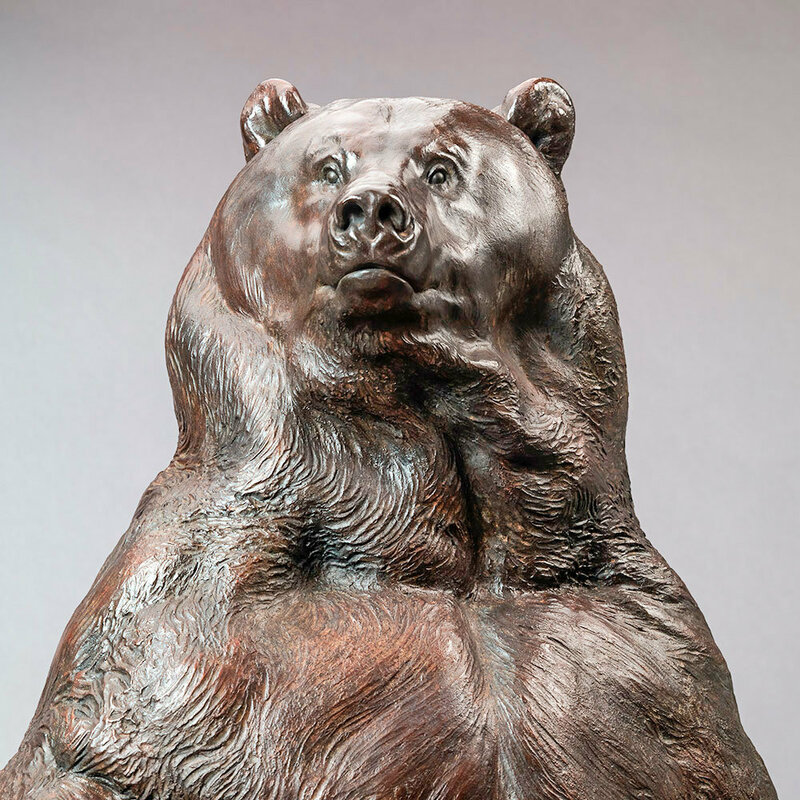 The creation of the 15 foot, monumental bronze sculpture, “Indomitable“, depicting a 10 1/2 foot, life-size Kodiak Brown Bear, began with the sculpting of this 1/5th scale Maquette. 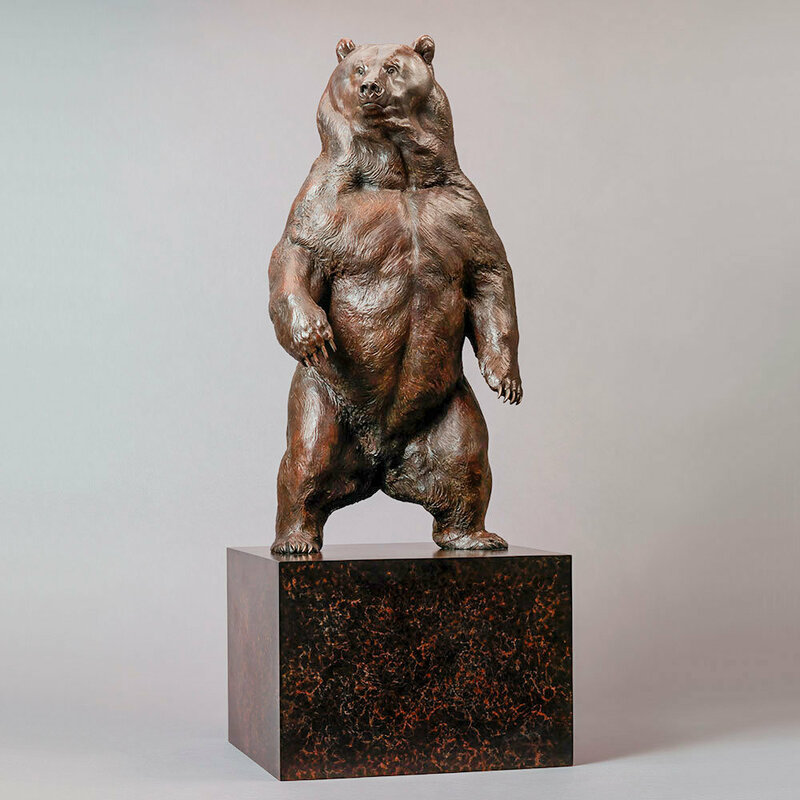 The sculpting and casting of the full-size Indomitable was a massive undertaking, requiring the talents of Nick and over 100 skilled workers at Pangolin Editions foundry, to bring to reality – This Maquette of the life-size Kodiak Brown Bear, gives a real sense of the power and majesty of his ‘big brother’. 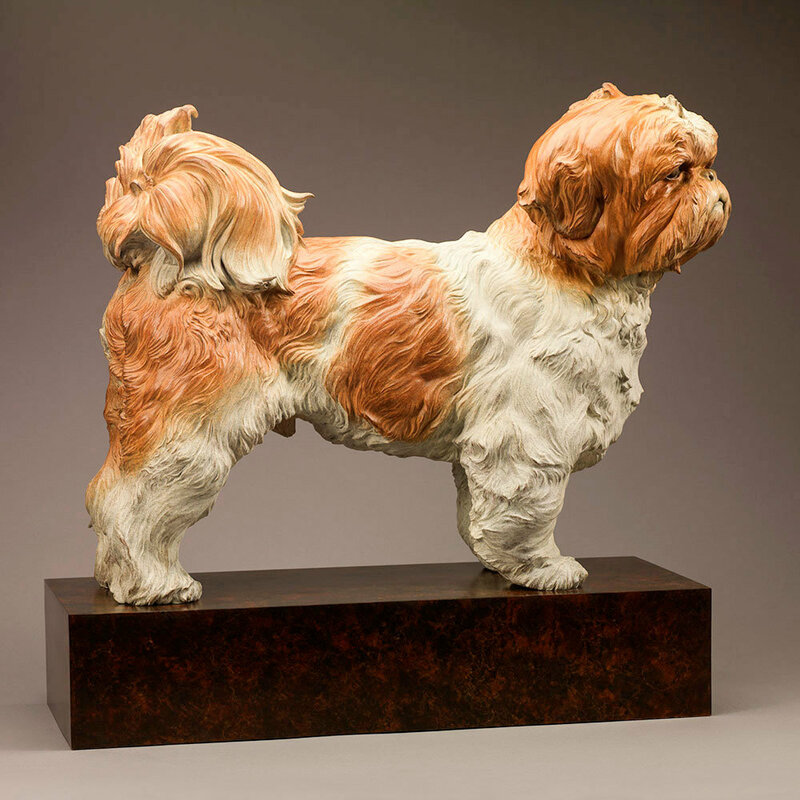 Originally commissioned by Brown University, Providence, Rhode Island, Nick began work on Indomitable by sculpting this 1/5th scale Maquette of the bear in water-based clay, which was then moulded and cast by Pangolin. This cast was laser scanned to provide computer data used to create an exact digital enlargement of the bear in urethane foam. This foam enlargement was then covered with a thin layer of wax by Pangolin’s talented modellers, to provide a key for the final layer of wax modelling clay, added by Nick to sculpt the intense detail and texture of the finished bear. 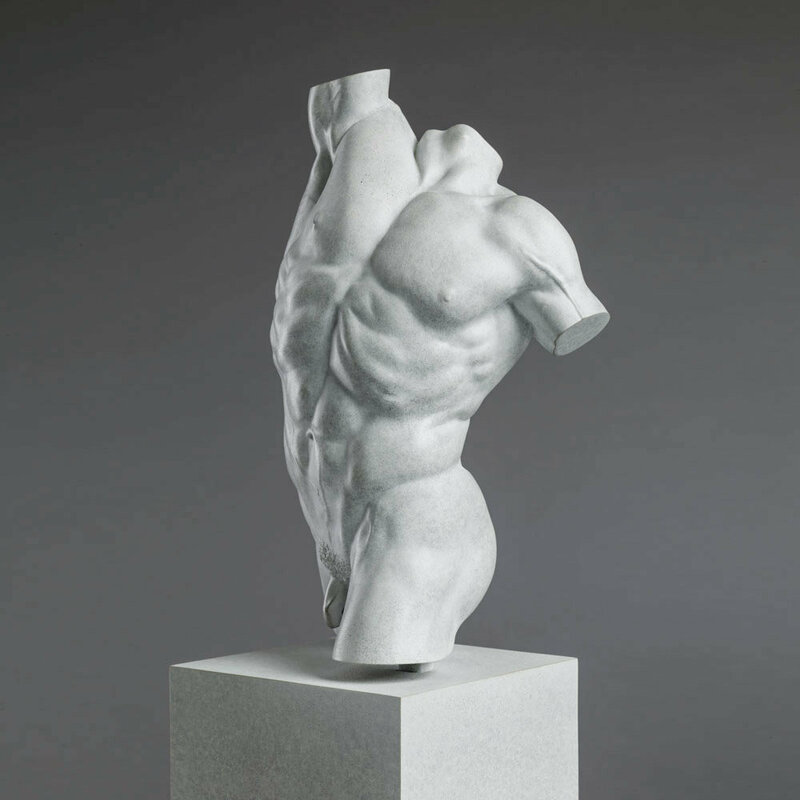 The completed monumental foam and wax sculpture was cut apart for moulding and casting into bronze. 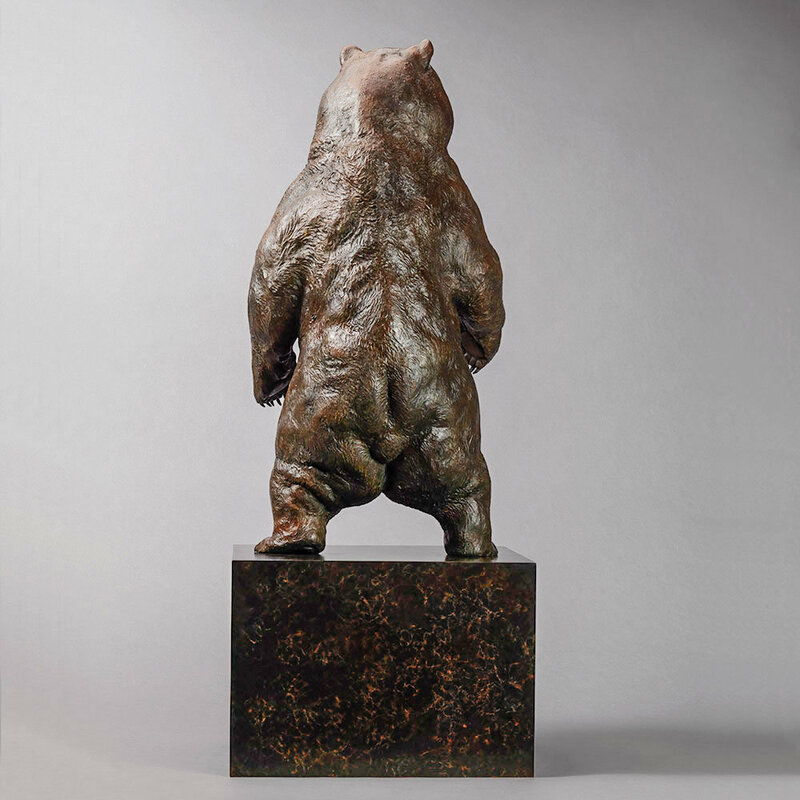 The bronze bear was cast in 12 separate sections, using over 2500lbs of bronze, the head and paws were cast using the cire perdu or, ‘Lost Wax’ method, whilst the two body sections were cast using giant sand moulds. 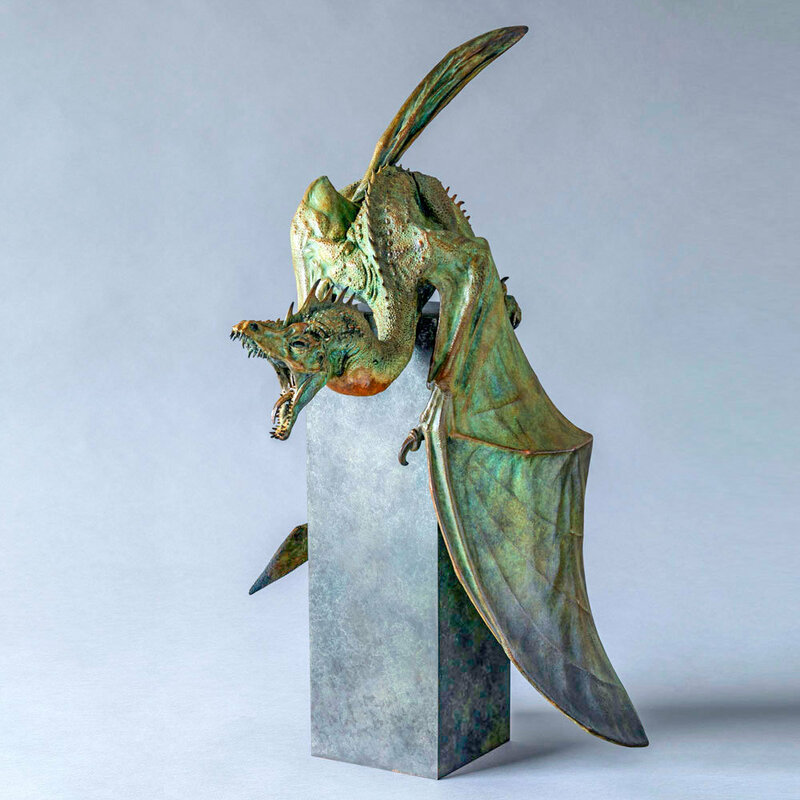 The various sections were subsequently welded together and the welds skilfully re-detailed, prior to being patinated and attached to the massive fabricated sheet bronze and stainless steel plinth, using huge stainless steel bolts. 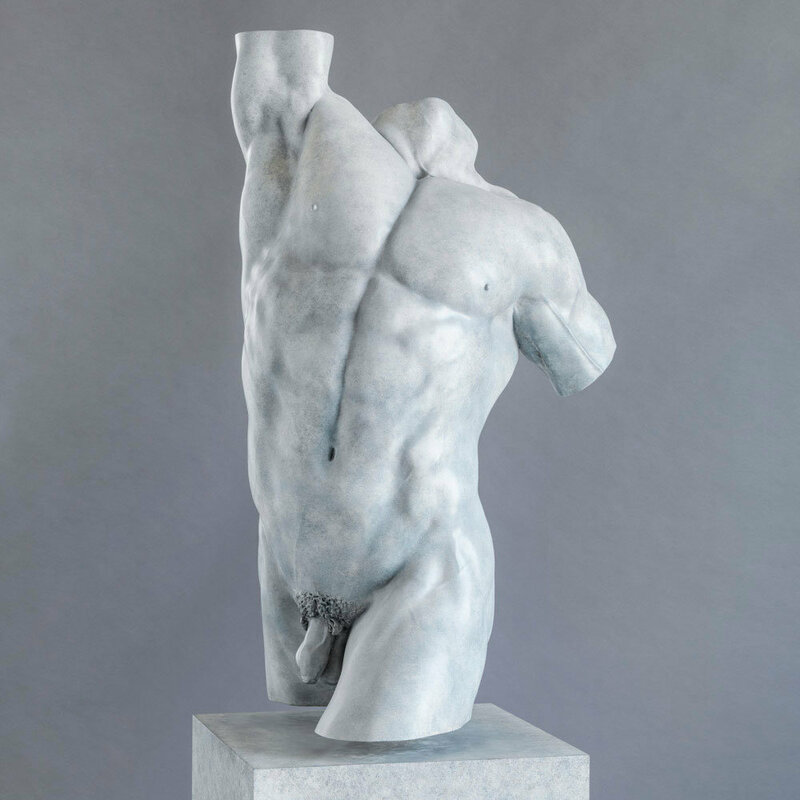 Indomitable number 1 now stands proudly, outside the Nelson Fitness Centre, on Brown’s University Campus, in Providence, and a second cast has already been sold, which was recently on show near Marble Arch, on Oxford Street, London. Nick has also produced a full-size Head Study and a tiny, jewel like, 4 inch Hallmarked Stirling silver Miniature of the bear, Indomitable. Design by Steve Russell Studios Ltd.